Applications, Integration or Programming : Where should I ask my question? - How to calculate the ROI of putting a robot here? - How to get the team on board on my new robot project? - Here's the result of my automation project, how I did it and lessons learned. Post here anything that involves putting different pieces together, attaching them mechanically, electrically, having them to communicate. 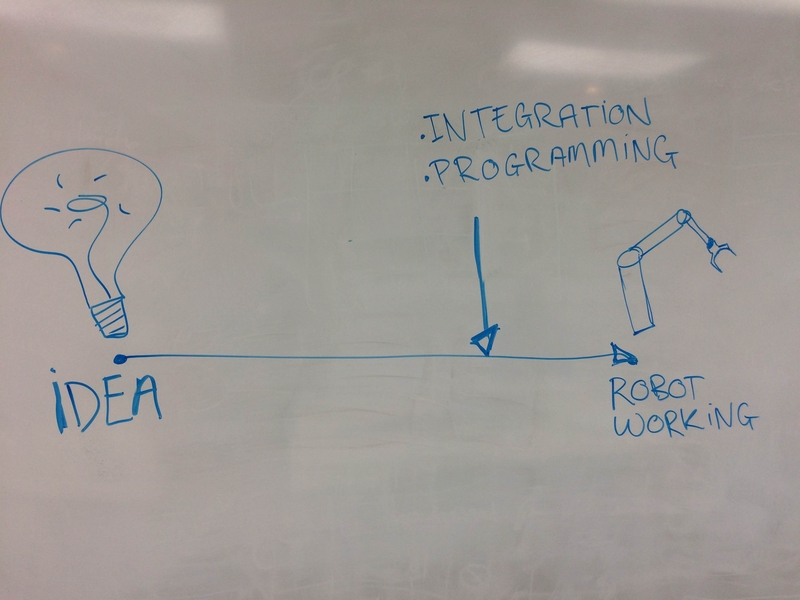 Post here questions on robot programming, share pieces of code, etc. - How this robot function work? - Tutorial on robot functions. Hey, don't worry if you're unsure. Just post it and we will provide feedback. We can always move it to a different category after! Thanks for the quick reply! i will think this through tomorrow. i cannot add a video here. it always says "file not allowed". they basically place one end, clip it on and then move down the plastic strip and perform "clamping actions" with their hands until the entire strip is on the alu profile. @markus_rothtechnik if your video is not too confidential, you can post the video on Youtube and then post the Youtube link in your comment.